It is something of a truism that Europe has its origins in the great migrations and the fall of Rome. Before these events, about a third of mankind identified themselves with the Mediterranean civilization and called themselves Romans. They distinguished themselves from the aggressive Sasanian Persians in the east and the barbarous Germanic tribesmen from the north. However, in the fifth century, these tribal warriors settled within the former Empire, while the Sasanian Empire ceased to exist in the early seventh century. The old Mediterranean Empire desintegrated, and the new superpowers were Byzantium and the Caliphate of Damascus. It is commonly taken for granted that ‘Europe’ originated in this messy period. In his book God’s Crucible. 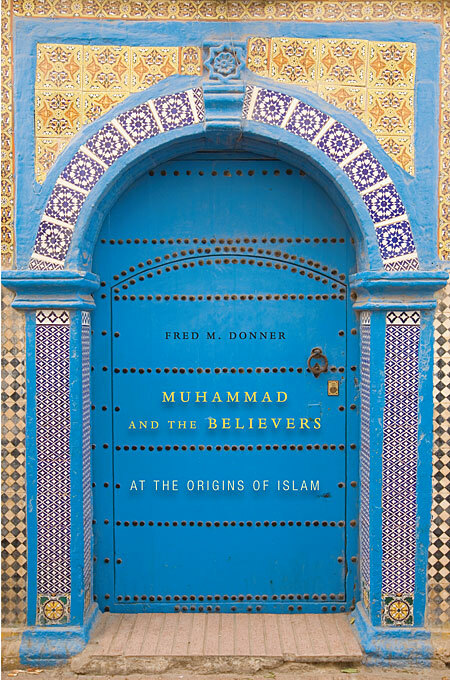 Islam and the Making of Europe, 570-1215 (2008, Norton New York) Pulitzer Prize winner David Levering Lewis tries to trace the origins of European civilization more precisely, but he has to do a lot of groundwork first. In the first chapters, he describes the long struggle between the Byzantine emperor Heraclius and the Sasanian shah Khusrau II. Christian orthodoxy and Zoroastrian beliefs played a role in this conflict, and religious purity was something that both the emperor and the shah were interested in. Lewis points out how the two empires were exhausted after this war, and that it was relatively easy for the first Muslims to conquer Palestine, Syria, and Egypt. I found these chapters more accessible than Hugh Kennedy’s detailed Great Arab Conquests (2008), which is also a very good book. Nevertheless, the battle of Tours is crucial to Lewis’ account, because the victor, general Charles the Hammer, now had an excellent reputation for efficient leadership, which he used to increase his power. The official Frankish kings became increasingly irrelevant, until Charles’ son Pippin proclaimed himself king and was anointed by the pope. As a quid pro quo, the Christian leader demanded that Pippin defend Rome against the Langobards. The architect of this bargain may have been the capable archbishop of Mainz, Boniface. Lewis also deals with the reign of Pippin’s son and successor Charlemagne, who inherited the deal with the papacy and decisively beat the Langobards. He also subdued the Saxons, who were mercilessly forced to become subjects of both the Frankish ruler and the pope – a sad story to read. Charlemagne’s policy was the exact opposite of the one pursued in the Emirate of Cordoba, which never forced its subjects to become Muslims. Charlemagne’s harsh religious policy is important for Lewis’ book. In 778, the Frankish king invaded Catalonia, but the war was not the success he had been hoping for; worse, the commander of the rear guard, count Roland, was defeated by Basque warriors at Roncevalles. In the Chanson de Roland, written by an author who presented Charlemagne more as leader of Christianity than as a Frankish king, this rearguard action was converted into an epic struggle between Christianity and Islam. By now, a new cultural identity had been created. People could call themselves ‘Europenses’, and it was obvious to anyone that this meant that they belonged to Latin Christianity, had to be distinguished from the Byzantines, and were opposed to Islam. The Reconquista put the ideas of the Chanson de Roland into practice, and provoked an intervention from the Moroccan Almoravids and Almohads, who were just as intolerant as their Christian enemies. The opposition between Europe and Islam had been created; and we are only too familiar with the consequences. At least, this is what Lewis writes. I think he is right. After all, his ideas are not very new. His account of Visigothic Spain and the Emirate of Cordoba does not offer much that can not be found as well in the books by Roger Collins (e.g., The Arab Conquest of Spain, 710-797 (1989). Still, this is a good book and a useful counterpoison against those theories that place the origins of Europe in the Greek wars against Persia. This idea was already refuted more than a century ago by Max Weber in his well-known ‘Kritische Studien auf dem Gebiet der kulturwissenschaftlichen Logik’, and it is shocking to see that it is still repeated today. Lewis’ book is not perfect, though. His account of early Islam is strangely conservative, essentially a rational retelling of the Islamic sources. You don’t have to believe the Luxenberg Thesis or the (in my view unconvincing) reinterpretation of the rise of Islam proposed in Ohlig and Puin’s Die dunklen Anfänge; but ignoring them altogether is a bit cheap. But this is the only major objection I have. Still, there are too many minor errors. The Germanic tribes did not invade the Roman Empire after the sack of Rome in 410, but four years before that event (page 109); there were no rabbits north of the Pyrenees, although the Frankish noblemen may have appreciated hares (p.296); the Sharia in Spain was – as far as I know – Zahiri, not Malikite (passim); Otto I was not a member of the Hohenstaufen family and ‘Abd al-Rahman does not mean ‘Champion of the Religion of God’ (both on p.321). There are several printing errors (caesares becomes cesari on p.8 and on p.242, we find ‘Franksih’ noblemen). On one point, Lewis appears to have believed modern-day propaganda by Iranian royalists and I would not be surprised if some of the information on p.6 was taken from the Wikipedia. The old canard that the Romans tried to reach the Elbe in Germany is mentioned on p.233 (no military bases have been identified east of the Weser). The observations on the sexual lives of Muhammad and Charlemagne are irrelevant to the main thesis. Et cetera, et cetera. Lewis acknowledges the help of three research assistants and seven people “who read evolving versions of this book”. They have obviously been sleeping and, worse, are employed by well-known universities. Is it really possible that none of them has spotted that France is not east of the Pyrenees, that Ctesiphon is not north of Baghdad, and that Bari is not south of Rome – somewhere in the Tyrrhenian Sea? For a moment, I was wondering what I could possibly learn from an author who makes mistakes like these. But that would be unkind. Although it contains too many minor errors to be a real page turner, God’s Crucible offers a convincing interpretation of the origins of Europe. I sincerely recommend it.